Today I am grateful for a broom. A broom is used to sweep up debris from the floor, a broom is mainly used on hard flooring but you can also use it on certain types of carpet mainly none pile carpet. Brooms come in different styles and materials and certain brooms are better for indoor and outdoor use. I am grateful for a garbage can. A garbage can is used to collect debris and refuse. Many garbage cans are lined with a bag for easy collection of refuse and can easily be changed and disposed of in a larger garbage can. I am grateful a Measuring Tape. 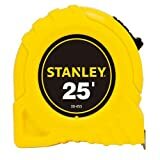 A measuring tape is a tool used to measure different things such as construction material in preparation for cutting or installation. I use a measuring tape to measure the dimensions of furniture for determining layout for my home.